Most visits to Belgium don't cover enough miles to justify buying a rail pass, even if you're visiting the Netherlands as well. 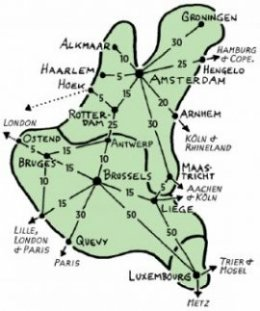 (All rail passes that cover Belgium also cover the Netherlands and Luxembourg; together they're called "Benelux, " and count as one country as far as rail passes are concerned.) 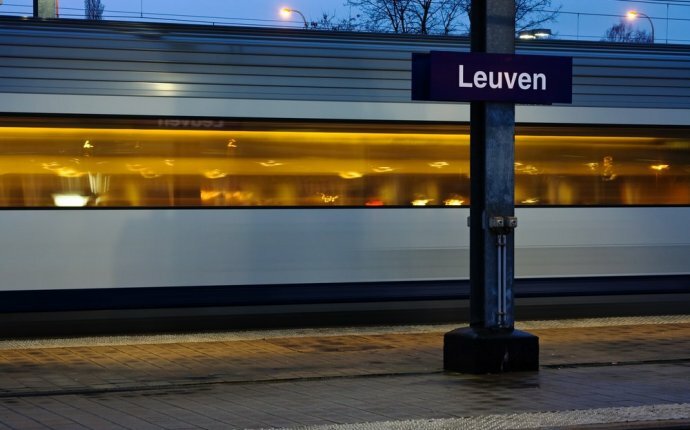 If your itinerary extends beyond this relatively small region, adding Benelux to a multi-country rail pass may be a good deal (but it always pays to double-check). If you decide against a pass, see our general tips for buying point-to-point tickets in Europe. Use this map to add up approximate pay-as-you-go fares for your itinerary, and for the number of days you expect to spend on the train. What are my options for rail passes that cover Belgium? Choose one of the passes below to check prices and to buy your pass (orders are fulfilled by Rail Europe). ►Rail shopping cart: Have an order underway? Review and complete it here. Do I need to make seat reservations on Belgian trains? For the most part, you can hop on nearly any Belgian train with just your rail pass in hand. But the fast trains that run between Brussels and Amsterdam, Cologne, and Paris do require reservations — and they're expensive (point-to-point tickets also cost more on these trains than other trains on these routes). On Brussels–Amsterdam and Brussels–Cologne trains, you can avoid this extra cost simply by choosing a regular non-Thalys train, which doesn't require seat reservations. The Brussels–Paris direct route is served only by Thalys trains, and reservations cost $25–40 in addition to a rail pass that covers Benelux and/or France (reserve as far ahead as possible for the Brussels–Paris stretch). Pricey seat reservations are also required on the Eurostar trains that connect Brussels with London (see below). What do rail passes cover in Belgium? Rail passes cover all travel on trains run by the SNCB, Belgium's national railway. Passes also cover the privately run Thalys trains (see above), and Eurostar trains across the English Channel between London and Brussels now accept Eurail passes that cover Benelux (reservations cost about $35 in Standard class or $45 in Standard Premier in addition to starting use of a rail pass travel day). Any tips for buying point-to-point train tickets in Belgium? If a rail pass doesn't pencil out for your trip, you may be able to shave off the cost of your train tickets with some local deals. For example, (65 and older) can hop any train for just €6 round-trip, provided it's not a high-speed express (or Thalys) train, and provided it's not a weekday before 9 a.m. (25 and younger) can take advantage of a similar deal on etickets. Benelux Eurail Pass: Valid on Thalys trains, which require relatively expensive seat reservations, within the "Benelux" region; for an additional seat reservation (about $25–40) this pass can also cover Thalys trains to/from Paris. While the other passes covering this region offer a two-month window, this pass allows travel within just one month after you've activated the pass. Kind neukers @nmbs DONT TRAVEL @ BELGIUM WITH DER NAZZI train ! No privacy unter rasse dont knock on doors ! !